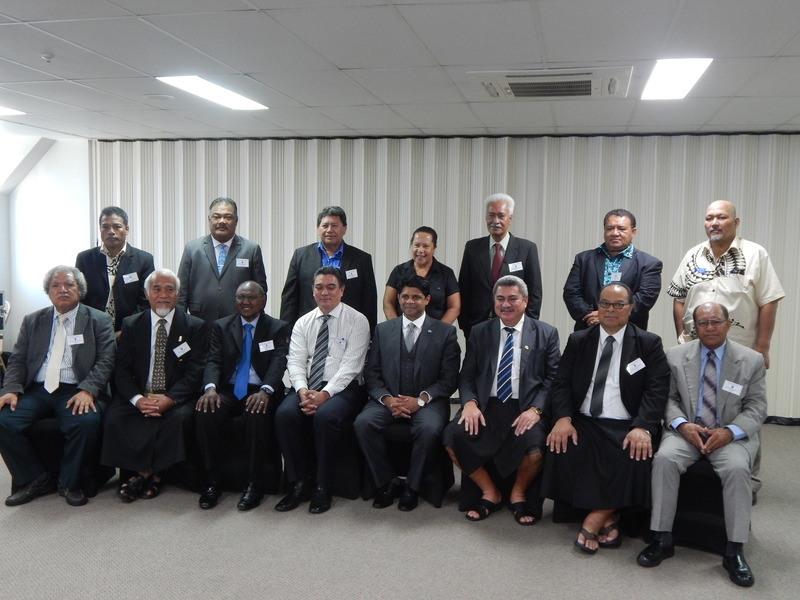 Secretary Marion Henry took part in the Special Pacific ACP (PACP) Trade and Fisheries Ministers’ Meeting (PACPTFMM) in Suva, Fiji on 16 July 2015. The Special PACP Meeting focused mainly on devising a regional position to respond to the EC’s Trade Commissioner proposing the suspension of EPA negotiations to allow the review of conservation and management measures of fisheries resources. PACP Ministers acknowledged the complexity and difficulties of the fisheries issues as it relates to the Vessel Day Scheme developed by the Parties to the Nauru Agreement (PNA), they agreed to continue negotiating the EPA as a single region and to engage a political dialogue with the EC with a view to finding a mutually acceptable resolution of the fisheries issues as well as the remaining contentious issues. 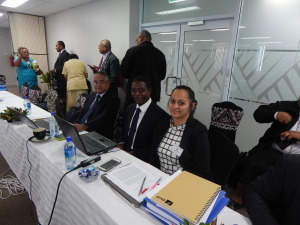 The Decisions reached by PACP Trade and Fisheries’ Ministers will be considered by Pacific Leaders during their Meeting tentatively scheduled for September 8, 2015, in PNG. The Meeting, Chaired by the Hon. 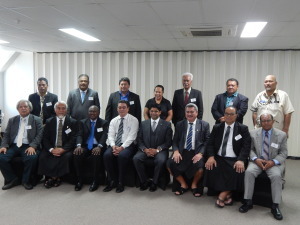 Aiyaz Sayed-Khaiyum, Acting Prime Minister, Attorney General and Minister of Finance, Public Service, Public Enterprises and Communications of Fiji, was attended by the Deputy Prime Ministers of Samoa and Vanuatu, and Ministers from the Cook Islands, Fiji, Federated States of Micronesia, Kiribati, Nauru, Niue, Samoa, Solomon Islands, Tonga, Tuvalu and Vanuatu. 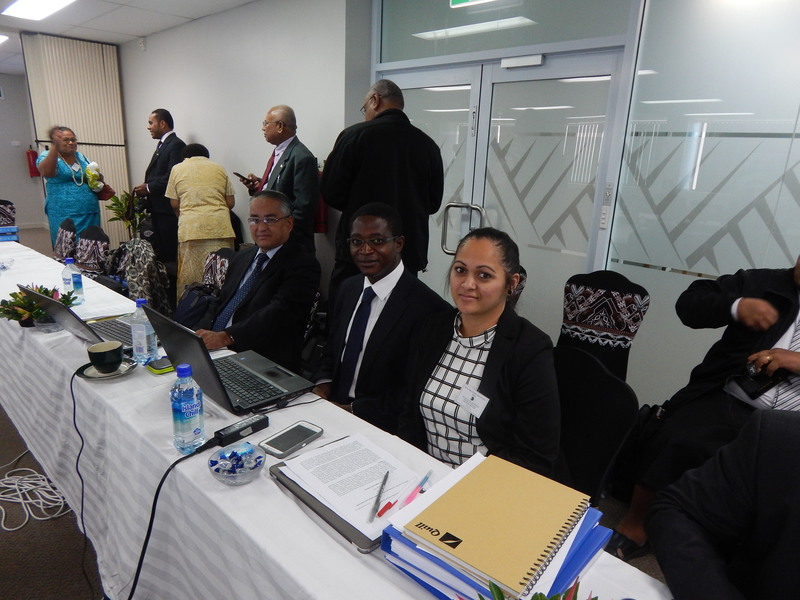 Also in attendance were the Director of the Pacific Islands Forum Fisheries Agency (FFA) and representatives from the Oceania Customs Organization (OCO) Secretariat, Parties to the Nauru Agreement (PNAO) Office, Pacific Islands Forum Secretariat (PIFS) and the Pacific Islands Private Sector Organization (PIPSO). Accompanying Secretary Henry to the Special PACP Ministers’ Meeting were Mr. Eugene Pangelinan, Acting Executive Director, NORMA, Ms. Camille Movick-Inatio, Assistant Secretary for Trade and Investment, and Mr. Jean Bertrand Azapmo, National Trade Adviser.